Viola player Nadia Sirota opens up a colourful selection of classical music from the inside - revealing familiar and unfamiliar works in a new light. 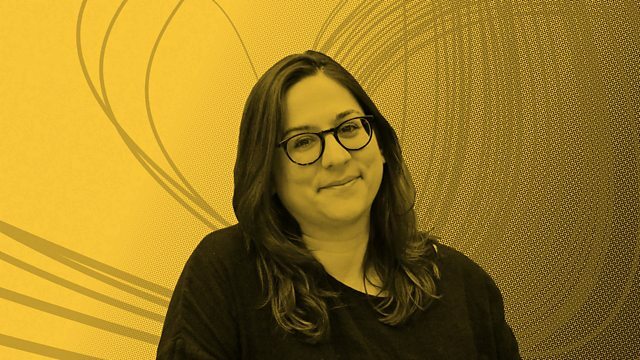 Nadia Sirota is a viola player who specialises in contemporary classical music, so in this episode of Inside Music, Nadia’s wide listening tastes mean Mozart, Bach and Brahms sit happily alongside Nico Muhly, Caroline Shaw and Luciano Berio. Nadia also talks about how the music of Igor Stravinsky influenced American singer-songwriter Sam Amidon, reveals some unusual lyrics to accompany Berlioz’s Symphonie Fantastique and discusses how multi-tracking her viola with a viola da gamba produces beautiful and crystalline consort music. At 2 o’clock Nadia chooses a piece of music she describes as being from another planet. “The first time I heard it my jaw was on the floor,” she says. See where yours ends up when you hear this Must Listen moment. Performer: Kim Kashkashian. Performer: Robert Levin. Performer: Chris Thompson. Performer: Jamie McVinnie. Performer: Sam Amidon. Music Arranger: Nico Muhly. Singer: Dawn Upshaw. Ensemble: Crash Ensemble. Conductor: Alan Pierson. Orchestra: London Symphony Orchestra. Conductor: Colin Davies. Ensemble: New Swingle Singers. Orchestra: Orchestre national de France. Conductor: Pierre Boulez. Performer: Nadia Sirota. Orchestra: Detroit Symphony Orchestra. Conductor: Alan Pierson.